The Institute for Transportation is a hub of local, regional, and national transportation-focused research, education, workforce development, and technology transfer. InTrans administers 15 centers and programs, and several other distinct research specialties, and a variety of technology transfer and professional education initiatives. 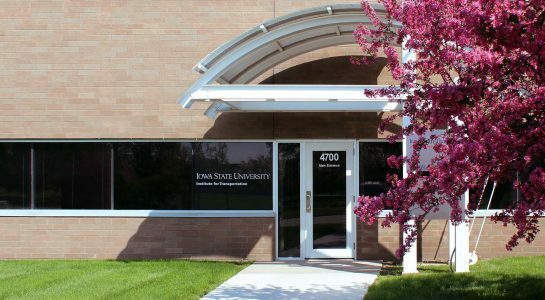 More than 100 Iowa State University faculty and staff work at InTrans, and from 200 to 250 student assistants from several ISU departments conduct research while working closely with university faculty. InTrans began in 1983 as a technical assistance program for Iowa’s rural transportation agencies. InTrans’ mission is to develop and implement innovative methods, materials, and technologies for improving transportation efficiency, safety, and reliability, while improving the learning environment of students, faculty, and staff in transportation-related fields.